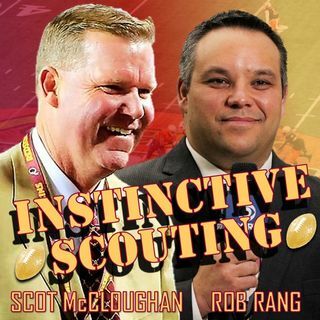 On a fantastic fourth episode of the ISP, Scot and Rob discuss Kansas City Chiefs star QB Patrick Mahomes and several other young breakout players on the offensive and defensive side of the ball, including Colts star linebacker Darius Leonard. The guys wonder if perhaps we haven't seen the end of Nick Bosa at Ohio State, debating the merits of his returning and proving his commitment to the team to the risk involved with his NFL draft stock already so secure. Teams considering drafting ... Más informaciones Bosa and other players coming off surgeries are always tough evaluations for a general manager, Scot explains, with both of the fellas recalling players drafted with obvious red flags (medical and otherwise), including one future Hall of Famer for the Dallas Cowboys. Reviewing All-Pros of yesteryear got the boys yearning for the good old days when defenders could actually tackle quarterbacks and into a plea for real football to return to the NFL. Saving perhaps the best for last, the guys break down the performances of Missouri's Drew Lock and Oregon's Justin Herbert, as well as their potential place in the 2019 draft.